Approximately 35 questions for your consideration: What you need to start a successful and profitable collaborative workspace. This will include one-on-one teleconference consulting for 30 minutes with our expert advisor. Bring our expertise to your business. 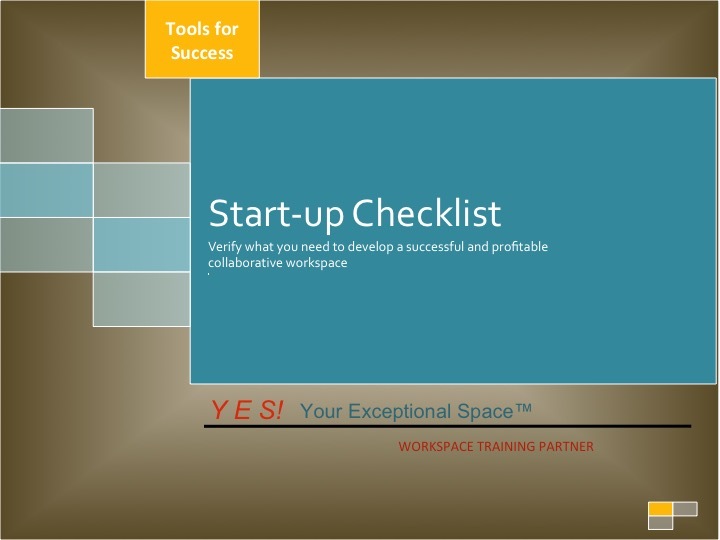 Checklist format of nine items designed to help you work through the elements of building your workspace community. 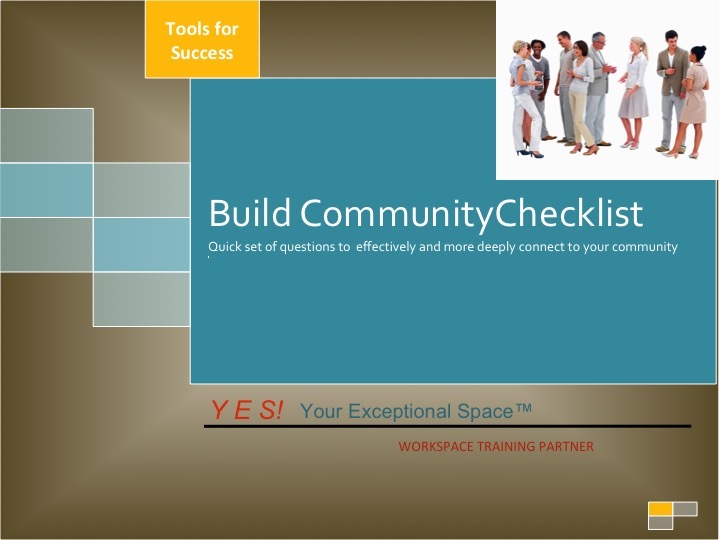 The checklist combined with the 30-minute consulting session outlines how to improve the strength of your community, discussing tools for measuring results. 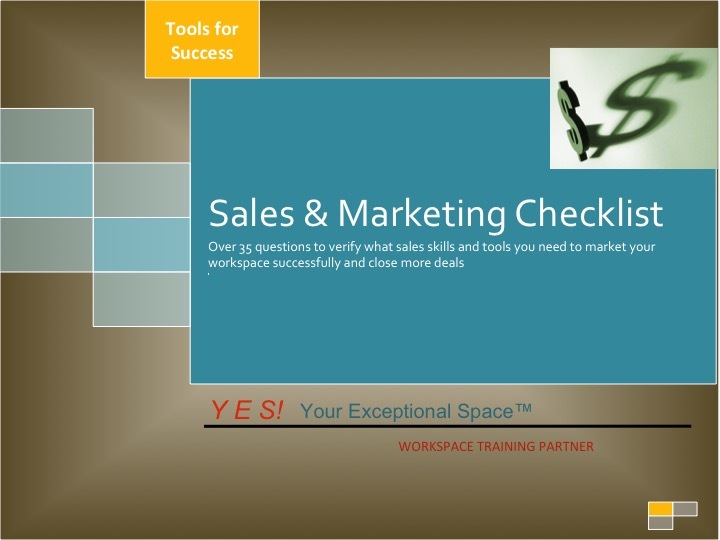 Over 35 questions to verify what sales skills and tools you need to market your space successfully, manage prospects and close more deals. The included 30-minute tele-consulting session covers ideas on both new and proven strategies and tactics to win more clients.